While every book we publish is a masterpiece in its own right, some of our books really move off of the shelves, and each month we like to recognize those authors for their hard work and dedication as well as thank them for choosing to publish through us at Outskirts Press. With no further ado, here are the top ten books for the month of October in terms of sales numbers! 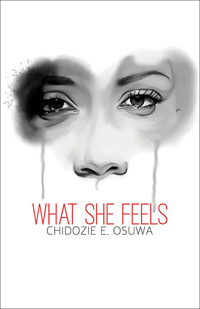 Dealing with love is never easy or straightforward, especially when it comes to prose and poetry, but Chidozie Osuwa handles this subject with a light touch and all of the grace of an artist sensitive to the complexities of experience. Hers is the heart of experience, and her language reflects the maturity of thought and wisdom gleaned from a lifetime of inquiry, exploration, and yes—the scars of heartbreak. Osuwa’s collection of poems avoids clichés and seizes upon fresh images, captivating readers everywhere and pushing What She Feels to the top of the list this month. 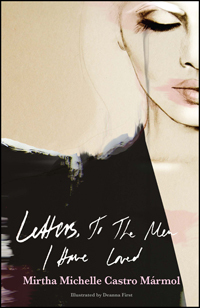 Whoever said poetry was losing popularity clearly hasn’t looked at our list in the last couple of years; ever since Mirtha Michelle Castro Mármol published Letters, To The Men I Have Loved this debut collection of poems has held its ground on our bestsellers list. And from all accounts, her popularity is well-earned, her poems unfolding with all the warmth and authenticity of the actress herself. Her second book of poems, Elusive Loves; Amores Esquivos, was released late last year, and continues her legacy of taking contemporary love poems to the next level. Trained as a monk from a young age in a Tibetan Buddhist monastery, Chris Kalima became the first black person to study at Lao-Tzumayana Monastery—and the first black man to become a high priest in Buddhism. But after 27 years as a Buddhist Priest, he had an encounter that would change his life—an encounter with Jesus Christ. This encounter and the mandate he received during this encounter have spurred Chris Adams on to become an author and to share his message of faith and healing. A runaway bestseller, this book is one to inspire and challenge a spiritual reader. 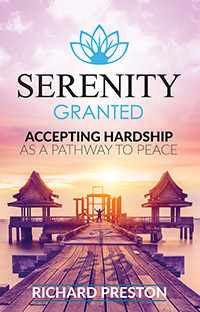 Another selection which will interest our spiritual readers is Richard Preston’s Serenity Granted, a book about truth and consequences, particularly as relates to the crippling effects of drug and alcohol addiction. And Richard Preston speaks from a place of authority. Speaking as a man who “never met a party that he didn’t like,” he documents the progressive effects of these addictions as they took over his life for thirty years. With plenty of dark days behind him, Richard Preston’s words ring with hope and possibility as he leads his readers through the hazards of self-destructive impulses, correctional facilities, and even suicide attempts. But the story didn’t end there—and we can’t say much more without spoiling the story, but highly encourage you to check it out. Just in time for holiday shopping, this fifth addition to our list is a beautifully illustrated children’s tale from author Priscilla Hansen, whose main character Abigail brings to life Hansen’s own childhood. This book follows Abigail’s search for “forever friends” to adventure through life with, and as she learns how first to be a true friend to others. 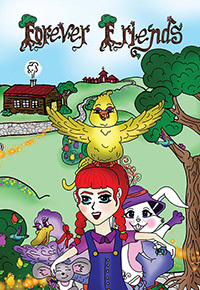 Her friends, brought to life as five wonderful animal characters, fill the pages and Abigail’s life with creativity, kindness, and the joys of love. There’s a lesson to be learned here, and one our readers seem to embrace with abandon, placing this book high on our bestseller list. 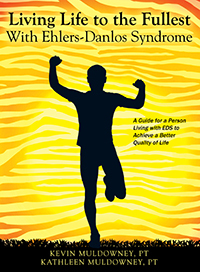 Living with a genetic disorder is a great and ongoing challenge, as Kevin Muldowney reveals in this wonderful handbook for dealing with EDS, widely known as a painful disorder which can inhibit those who have it from living a productive and happy life. Topping the list of non-fiction books in our Health & Fitness category and coming in sixth overall for sales in October, this book provides a useful outline for an exercise protocol to alleviate the pain associated with EDS and develop muscles to help control the joint subluxations so common to those with EDS. Muldowney’s expertise on this subject has been accumulated over many years of work in therapy. We might not be used to seeing medical treatises on other top sales lists, but here at Outskirts Press we are repeatedly blown away by the richness and diversity of our authors’ backgrounds and subjects of interest. 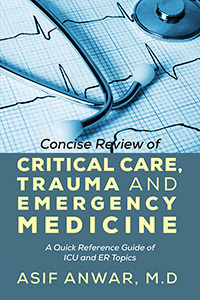 In his A Concise Review of Critical Care, Asif Anwar walks his readers through the most commonly raised topics related to the area of critical care, trauma, and emergency medical treatment. Useful both in the field and at home as a reference, this book is a testament to Anwar’s background with the US Air Force Critical Care Air Transport Team, Wisconsin Air National Guard as a Flight Surgeon, and more. 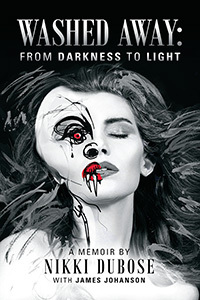 He recently released his second book with us, Fainting Pulse: ICU Chronicles. The fashion industry is a long-held fascination with American readers, but rarely does such an honest and forthright memoir come into the world as Nikki DuBose’s Washed Away. This book, a compelling glimpse into the negative effects that this industry can have upon those who work within it, chronicles DuBose’s path through many difficulties to emerge, still determined to live life to the full, stronger than ever. DuBose’s work is a testament to hardships endured and to the power of advocacy to improve the lives of others. Definitely a must-read—and our readers clearly agree! Don’t let the title fool you—Kymistry’s new book Coco’s Hood Love is a tale as much about life’s struggles as it is about its joys. 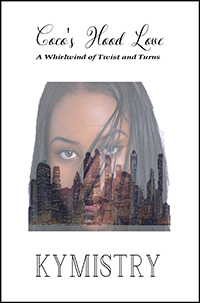 Orlando, Florida has not always been kind to Ashley “Coco” Sims, but it is her home and the setting of her ongoing search for love. This sassy, classy lady has taken years of abuse from a neglectful Delvin, but takes her future (and his fortune) into her own hands by fleeing for Atlanta, Georgia with her best friend Nikki. But will Georgia offer her solace and better luck in love? Our readers can’t get enough of this entertaining read, putting it firmly on our bestseller list. Proving once and for all that romance is a genre worth respecting, Emerson Perry’s A WAVES Desire might just tick the right boxes on your holiday shopping list; rounding out our October top seller list, this book follows intrepid nurse and US Navy officer Lietenant Jasmine S. Kendrick on her quest to undo some of the world’s grief. Having lost her mother as a child and yearning for the affections of an absent military father, Jasmine is placed in jeopardy by a forbidden romance with a Petty Officer with a jaded past. Without revealing any spoilers, we strongly recommend reading this book, both to find out where Jasmine’s story ends and to enjoy the stellar writing in this debut novel, which will haunt you long after you put the book down. Thank you, readers and authors alike, for celebrating these wonderful books. All of these titles and many more are available from major online retailers like Amazon, Barnes & Noble, Powells, Books-A-Million, and elsewhere—not to mention, through the Outskirts Press Bookstore for a considerable discount. To find out more about our products and services as well as upcoming and current promotions, visit us online at www.OutskirtsPress.com! Previous Previous post: Outskirts Press Bestseller ‘The Rooftop Christmas Tree’ is a Movie!